I’m sitting here wearing a stupid grin on my face, listening to Hillsong’s Empire album and asking myself this question: Who is family? Yesterday I tell my brother I want a camera for my birthday. I’m specific about the exact model because I’ve wanted it bad enough to subscribe on every reputable websites offering valid information about models, performance, and lessons on photo composition. For as long as I can remember, I’ve known that painting with light is what I am made for. And so I mouth off the model to him—it’s a Nikon D3300. I don’t make any mention of the additional lens I need to have because owning the camera is paramount. He scoffs. uh huh he scoffs and tells me to go get a boyfriend. Today he sends me a one-liner message after I respond to his birthday wishes. It reads: Your camera is expensive. Hah! I ring his line and at the first sound of, ‘big head’ I burst into laughter. Its sound echo in the sparsely furnished room I sit in all alone with my computer. He threatens to hang up and I laugh a little louder. I tell him I know the camera is expensive—I don’t know the current market price but with the rocketing exchange rate it’s sure to cost a lot. Then I say he’s sweet; sweet to have thought about me to check the cost of my camera; sweet to have been listening to me a night ago when I might have as well been talking to myself. He is sweet and he’s family. A day ago a friend gives me a lecture about staying in touch with people and having a closer relationship with my phone. The excuses get old; my excuses get old and I’m ashamed to even repeat them. I can imagine his face void of laughter and my heart squeezes a little. He is right in being upset; perhaps I don’t care enough to understand that someone cares, too. Perhaps I’ve gone too long without a close tie with anyone to understand how any of it is done. I tell him as much and I can feel his eyes widen in disbelief. He asks if I’m serious… but you’re the life of the class… you relate with people so well… you—I halt his statement. It’s who I am. But I promise to be better—for him at least. We learn to take baby steps before we can run a mile. An hour later he calls my line. I miss the first call, but call back when I return. His hello comes with a smile I can feel from my end of the line. My heart lightens a little. Good practice, he says. I remember her again today as she flits in and out of my consciousness. We are kids, lost, confused and seeking out our identities from all the wrong places. She is my first friend in the whole world. We are sisters, sharing everything, loving and fighting each other. She begs her school mother to be mine, too. She declines officially, but goes on to do it anyway since we are always together. I remember her heart of gold and am glad hers was the first I encountered as that journey began. Eventually we drift apart as these things are bound to happen, although I cannot recall why. We move on to have other friends. Over a decade later I think of her. I marvel at the children we were so many years ago; I am proud of the women we are today. I read the message she leaves on my facebook wall and my eyes cloud. She remembers too. Family is one who knows enough about you to sift your dream from a lot of dirt. Family is the one understanding of your weakness, but pushes you to become better anyway. Family is one who, like a road sign, points the way to your future, but never lets you forget where you came from. Family is blood and friends and giants–mentors and strangers whose stories inspire ours. There is a story that begs for a lengthier narrative, but today all I think about is where I was, where I am, where I will be and everyone who has led me here. Our birthdays are feathers in the broad wing of time which makes us fly higher come each new birthday — Jean Paul Richter). Today I fly higher because of everyone who has left their footprint through time and many who will. Who is family? Is there room for new entries to family? I’m subscribing. Smiles! Great! I’m so keen. Where do I start from? Winks. You are always welcome. Is it too late for the birthday wishes to come in? It’s a happy birthday then. Continue to bask in its afterglow. I celebrated mine on 9th Sept also… So both of us rep September!!! Wish you a happy belated birthday. More grace. Beautifully written. Happy birthday Uju! 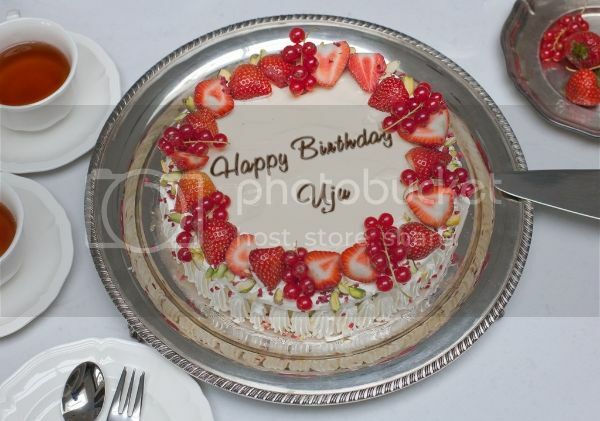 Happy Birthday Uju. It’s good to read you here again. I still think having a relationship with my phone is a not-so-good idea, but… oh well. Victoria 🙂 So good to see you again.